Civil society has become one of the key parts of the reference framework for governance, seeking to replace traditional public action in which representative democracy is combined with bureaucratic implementation. The success of the civil society myth contrasts with and consequently manifests itself in the problems of political and social legitimacy and representation. 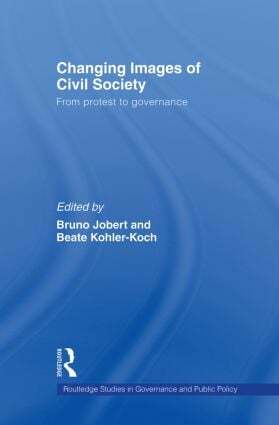 This book assesses the shift in the meaning and application of civil society, from citizen protests to its incorporation into public action. It examines the diversity of interpretations and uses of civil society in different political contexts and seeks to understand the reasons for its surfacing and its multiple forms in political discourse. The authors critically analyze and compare how different types of regimes in countries such as Italy, France and the UK, Poland and Czechoslovakia, South Africa, China, India and Chile; have incorporated or otherwise responded to the new discourse. Analyzing the surfacing and uses of civil society, this book will be of interest to students and scholars of political science, analysts, policymakers, non-profit think tanks and organizations interested in comparative international studies on the third sector. A social democratic model of civil society? Civil-society debates in India: Civil society against political society? China: Creating civil-society structures top-down?